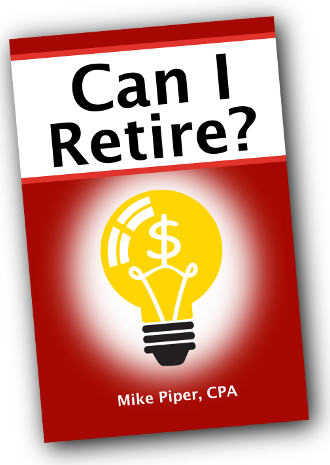 The 2018 edition of Can I Retire is now available (print edition here, Kindle edition here). That’s (finally) the last of the 2018 updates to reflect the new tax law. To be clear, the biggest change with this update is simply new tax information. So if you’ve read a prior edition, there’s probably not a lot to be gained from buying/reading the new edition as well. Part One: How Much Money Will You Need to Retire? Volatility is bad news when selling. Annuity income: Is it safe? Again, you can find the book here on Amazon. “I’ve been reading about the safety first school of retirement planning because I think that appeals to me more than the probability method of just spending from risky investments and assuming everything will ‘probably’ be okay. My question is how to start putting such a plan into action in advance. The second approach essentially says, “I don’t want to bet my retirement on the validity of such studies/assumptions. I’d rather lock in sufficient safe income (e.g., via annuities, pension, Social Security) to satisfy my needs and only use mutual funds to finance my discretionary spending.” This school of thought it sometimes referred to as the “safety first” or “safe floor” method of retirement planning. 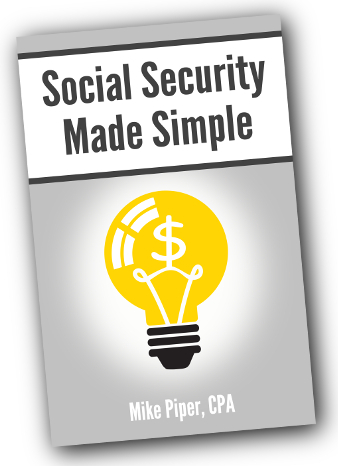 The answer to the reader’s question about how to start implementing a “safety first” plan in advance is that you start building a TIPS ladder (or other bond ladder, or CD ladder) that you will use to fund your spending while you delay Social Security, or to fund your annuity purchase. To plan in advance for delaying Social Security, you would allocate a portion of the portfolio to a bond ladder that will provide the necessary cash each year for 8 years. For example, if you’re passing up $1,500 per month ($18,000 per year) for 8 years, you could start building an 8-year bond ladder, with roughly $18,000 maturing each year. If Social Security at age 70 still doesn’t give you a sufficient “safe floor” of income to meet your needs/satisfy your risk tolerance, then you should start thinking about a lifetime annuity. To start planning in advance for an annuity purchase, you’d do something similar — build up bond holdings that you would eventually use to fund the purchase. What’s different about this, relative to delaying Social Security, is that you don’t know how much the annuity will cost. For example, if you anticipate buying a lifetime annuity at age 70 that pays $10,000 per year, there’s no way to know right now (in your 50s) how much that annuity will cost, because you don’t know how high or low interest rates will be when you turn 70.